Welcome on Amrita Sling Website! Amrita is a line of artisanal baby carrier , 100% made in Italy, with natural fibers and certified materials. The idea comes from a curious and passionate Babywearing Consultant in constant contact with the parents and takes advantage from the friendship with an expert textile worker and carrying dad. 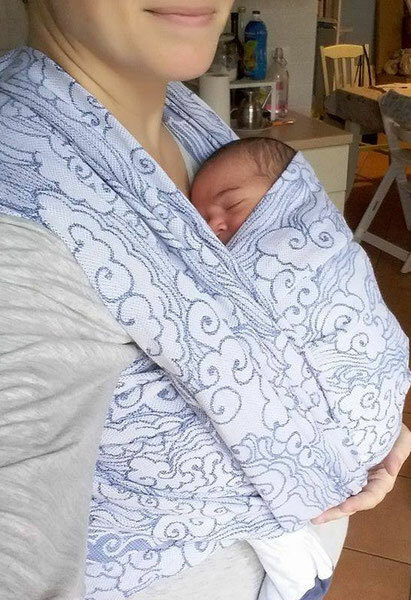 This is the realization of a dream, to spread babywearing in Italy and Europe (and perhaps, one day, around the World), with slings that come from a unique, artisanal process: the hand drawing of each design, the weaving with a semi-automatic loom, the handcrafting of each carrier. This is also the expression of the continuous research on natural fibers and weaving methods, following the heart of the Italian textile tradition. Our creativity is just at the beginning: we experience constantly new yarns and blends, natural colours and dyes, we draw with pencil on paper taking inspiration from the world around us, in order to create increasingly sophisticated carriers, with the purpose to meet the needs of everyone. The baby carriers are tailored one by one, by careful and wise hands: each carrier is the most genuine expression of craftsmanship, to permit our passion reach you, nurturing with love. This site is designed to provide basic information about babywearing and to stimulate the thought about the adventure of growing in contact with our children, to reintroduce the use of natural original yarn and textile techniques derived from the Italian tradition, as well as to clarify ideas about the possible choice of the most appropriate support for yourself and your children. The online shop introduce to this experience by providing you the opportunity to buy the baby carrier that better fit to you. The most suitable for each ages, from the birth up to 3 years old and also more. 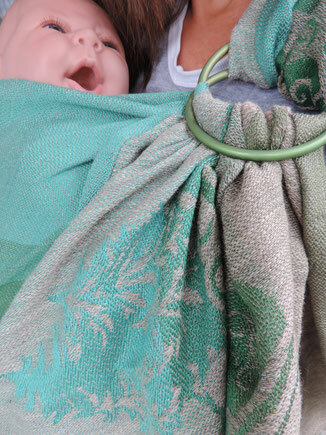 Perfectly adaptable, the wrap follow your baby growing, simply changing the wrapping method. 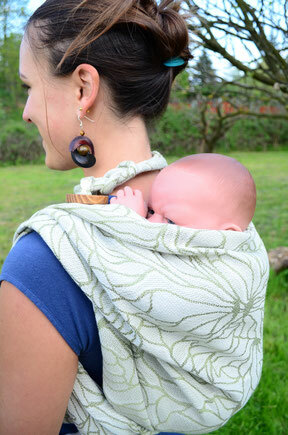 Optimal support for baby neck, back and hips at every step of babywearing. Available in different sizes. Rapid one-shoulder slings, that can be closed with a system of rings. Very quick to wear, useful for short journey, minimum encumbrance. The perfect compromise between the two shoulder weight discharge and the small encumbrance, easy to wear and to put away, completely portable.